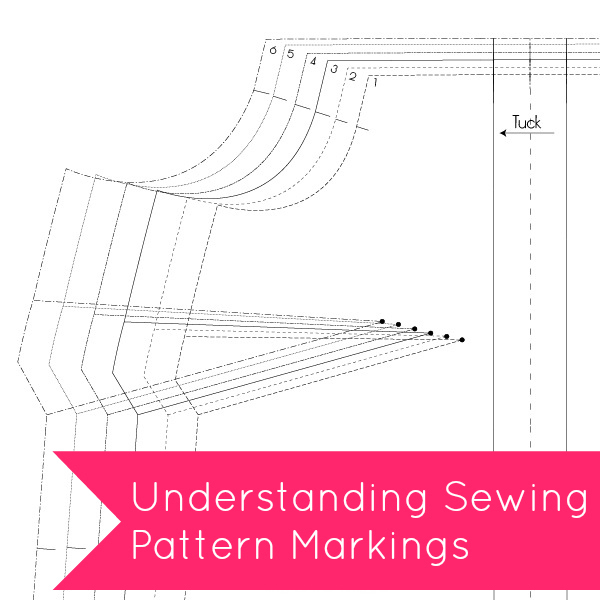 What do all those lines, dots and crosses on a sewing pattern mean? And what should you do with them? 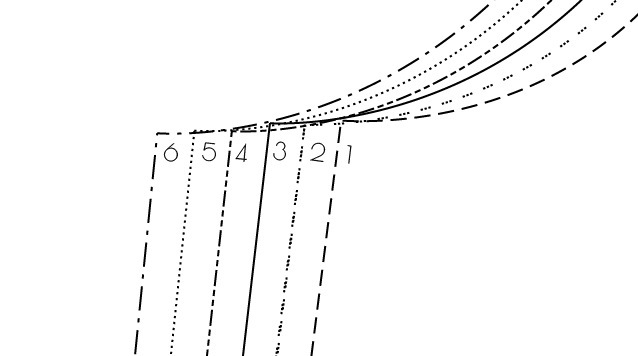 A multisized sewing pattern will have the cutting lines for different sized pattern pieces nested within each other. 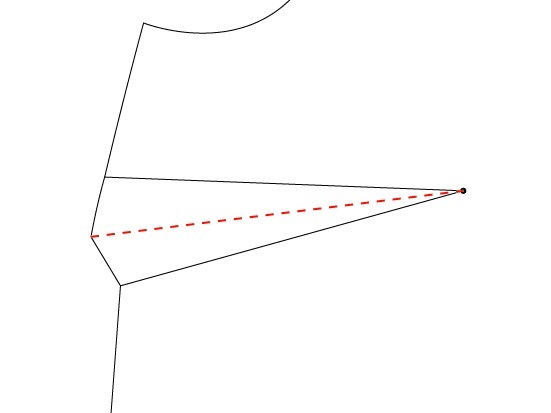 The different sizes are usually differentiated by different styles of dashed lines. 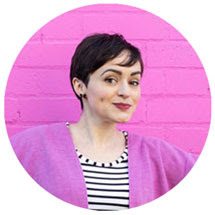 Pick out the lines that match your size – you may find it helpful to draw over them in a coloured pen. These are the lines you should be cutting to get your pattern pieces. A long, double-pointed arrow across your pattern pieces indicates the grainline. You don’t need to mark these arrows on your fabric – they’re just there to help you position the pattern pieces so they're going in the right direction in relation to the way your fabric will hang fabric. Line up the grainline parallel to the selvedge, ie. running lengthwise down the fabric. An easy way to do this is to start by sticking a pin in one end of the grainline arrow. 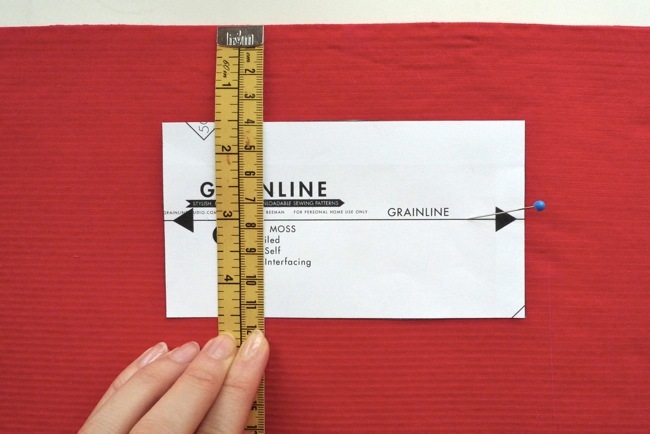 Measure the distance from the arrow to the selvedge. Now pivot the piece so that the other end of the arrow is the same distance away from the selvedge. Once you’re happy with the positioning, pin the other end of the arrow to hold it in place. Another kind of arrow you may see is one with two little sticky-outy bits like the image above. 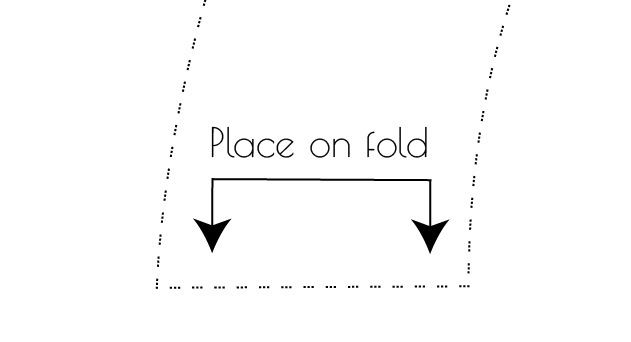 This indicates that you need to line up the cutting line the arrow is pointing too with the folded edge of your fabric before cutting it out (read this if you don't know what I'm talking about). The pattern piece only represents half the fabric piece, so placing it on the fold means you'll end up with one symmetrical whole piece. Make sense? Darts are triangular – or curved – shapes stitched into the garment to help mould the fabric around the body’s curve. On a pattern, the lines of the dart are usually marked by a triangle (or a curved “triangle” – or whatever that shape is called! – for a curved dart. I’ve singled out one size of dart here so you can see the shape more clearly. I like to mark dart "legs" using dressmakers’ carbon and a tracing wheel. You can also use a chalk pencil, tailor’s tacks or your own preferred method. 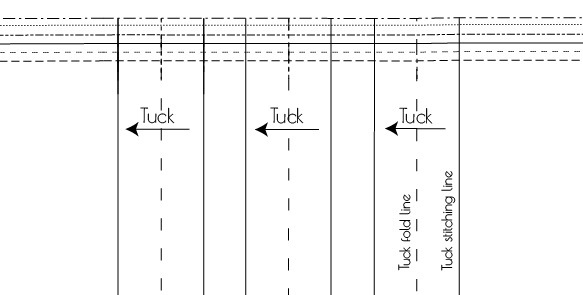 (Read all about transferring pattern markings here.) Mark them on the wrong side of the fabric so you can align the lines when it comes to stitching them. I've added a red line down the middle in the image above - I like to mark the central line in on my fabric to help fold it accurately. Notches will be indicated on your pattern by either a little triangle or a small perpendicular line along the cutting lines. If there are two next to each other, that indicates the back side of a sleeve or armhole. Marking the notches on your fabric will help you match up the pieces accurately when it comes to sewing them together. A single snip is a better idea than cutting a triangle, IMHO – firstly, it’s quicker, and secondly, it’ll make your fabric less likely to tear or distort out of shape. Make sure the snips are shorter than your seam allowance so they won’t show on the outside of your garment. 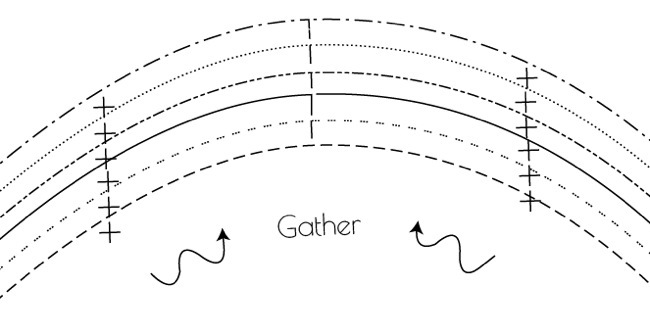 Gather points are usually marked either by little circles or crosses. 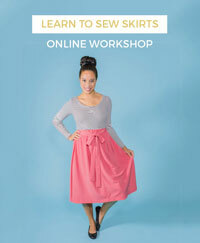 They show you where to start and stop a line of gather stitching, such as when creating a puffed sleeve. I like to mark them by sticking a pin straight through pattern and fabric, then making a little dot where the pin comes out with a chalk pencil or washable pen. Some patterns include the position for buttons too, marked either by a circle or a cross on top of the buttonhole markings. I’ve left them off the Mathilde Blouse pattern because it’s a good idea to mark them in right before sewing the buttons on, so that you know they’re going to go in the right positions in relation to the finished buttonholes. Buttons tend to ride up so they should sit 3mm / 1/8” down from the top of a vertical buttonhole or inwards from the side of a horizontal buttonhole. Your pattern may have other markings on it too. On the Mathilde Blouse, for example, the pattern includes folding and stitching lines for the tucks, and a fold line for the back opening. 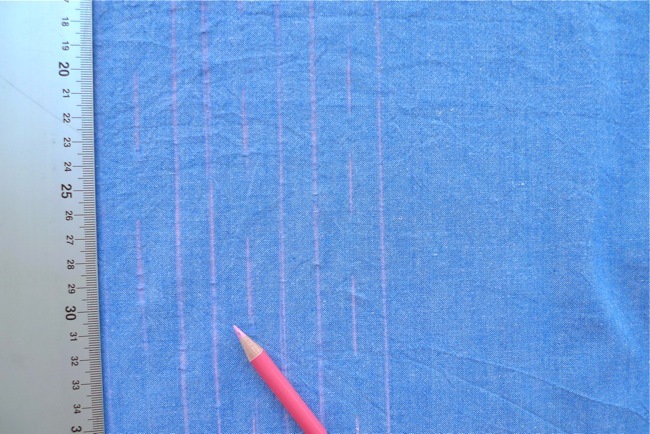 While other markings are usually made on the wrong side of the fabric, it’s a lot easier to fold these lines into place if you mark them on the right side of the fabric (just double check your marking tool rubs or washes off!). For long lines, I like to mark the ends with either pen or scissors, then use a long ruler to draw the lines between these markings directly onto the fabric. I think that covers many of the most common markings you're likely to find on your pattern. Hope it makes a bit more sense now!